Can students learn algebra from Instagram and video games? SMU teaching researcher Candace Walkington thinks so. And her new study, funded by the National Academy of Education, will test the idea. The new study asks pre-algebra middle school students in the Dallas Independent School District to author their own algebra stories based on their personal interests. They will describe how linear relationships approximate what they encounter in their everyday lives, such as how they accumulate followers on Instagram or score points in a video game over time, says Walkington, whose research focus is evidence-based effective teaching. About 200 pre-algebra students in eight classrooms at DISD schools are participating in the study. Based on results from earlier research, Walkington hypothesizes that authoring the stories will elicit students’ interest in the content to be learned by drawing on their knowledge about home and community. 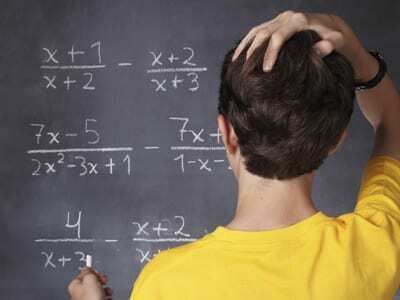 Algebra is a gatekeeper to many careers and to higher-level mathematics, making it critical for students to master, Walkington says – but students struggle to understand the abstract representations. A pilot version of the study begins in spring 2015. The full study starts in fall 2015. Walkington was awarded the grant as part of the Spencer Postdoctoral Fellowship Program of the National Academy of Education. The $55,000 grant supports early career scholars working in critical areas of education research.